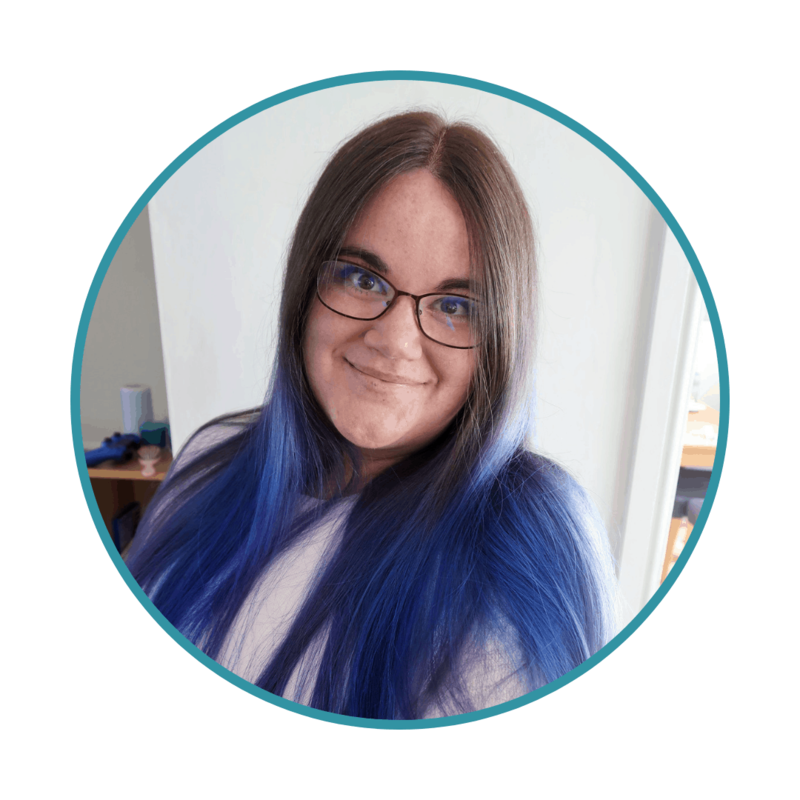 This month’s Bostik Blogger theme was nature. 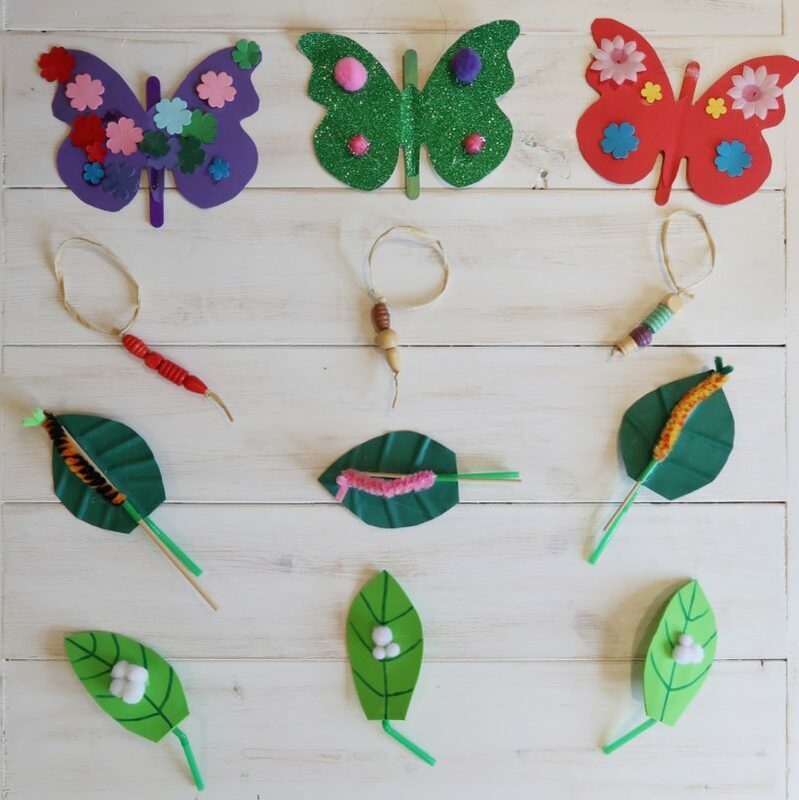 Our life cycle of a butterfly craft tree is actually four crafts in one. 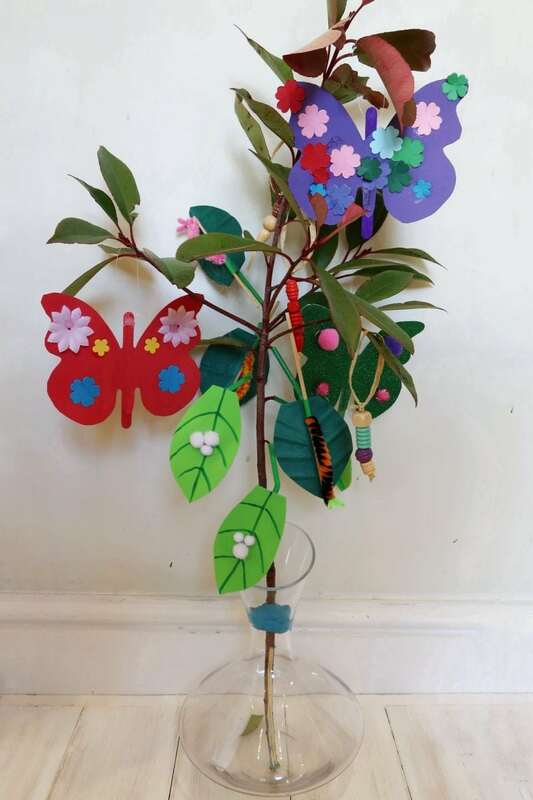 The children helped me to create a tree with all the life stages of a butterfly included. Not only did we have fun making them and decorating our tree, we also had the opportunity to talk about how a butterfly begins its life and learn about nature. 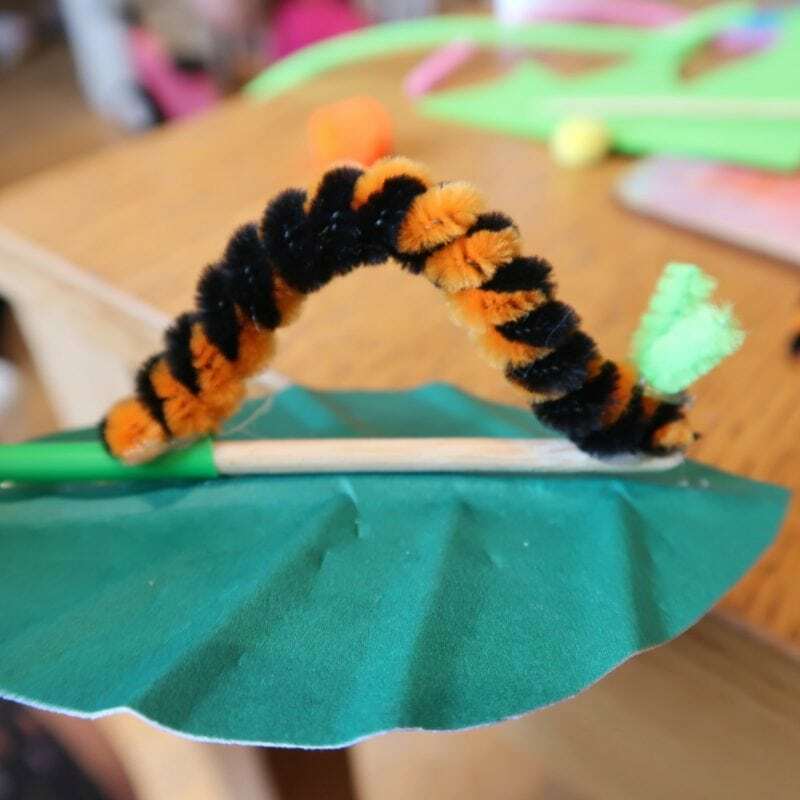 We made four separate bug crafts for our tree – the egg or ovum, the larva or caterpillar, the pupa or chrysalis and finally the adult butterfly. And the caterpillars actually move! When you pull on the stick, your caterpillar will then seem to curl up and look like it is crawling. We also added short lengths of pipe-cleaner as antennae. 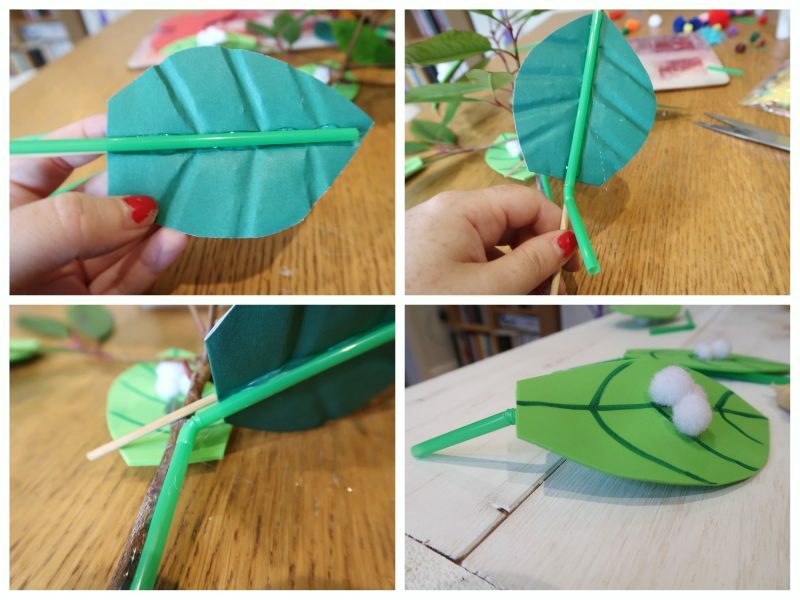 Next, I added drinking straws to the underneath, as with the egg leaves, in order to create an easy way to attach them to our tree. The chrysalises were very straightforward. We simply threaded colourful beads onto some fairly sturdy and thick string. 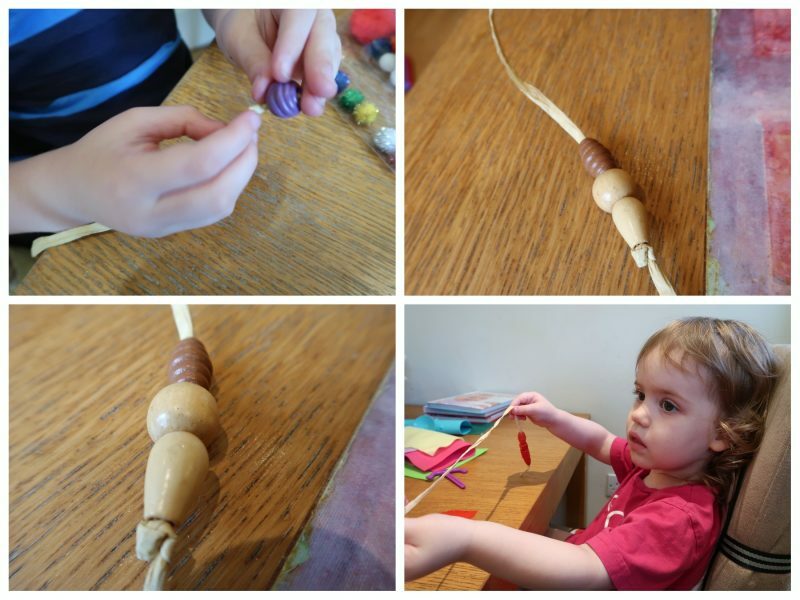 This is a great activity for developing children’s motor skills, as placing the beads onto the string can be quite tricky. Finally, I tied the string in a loop at the end so that we could hang them from our life cycle of a butterfly craft tree. 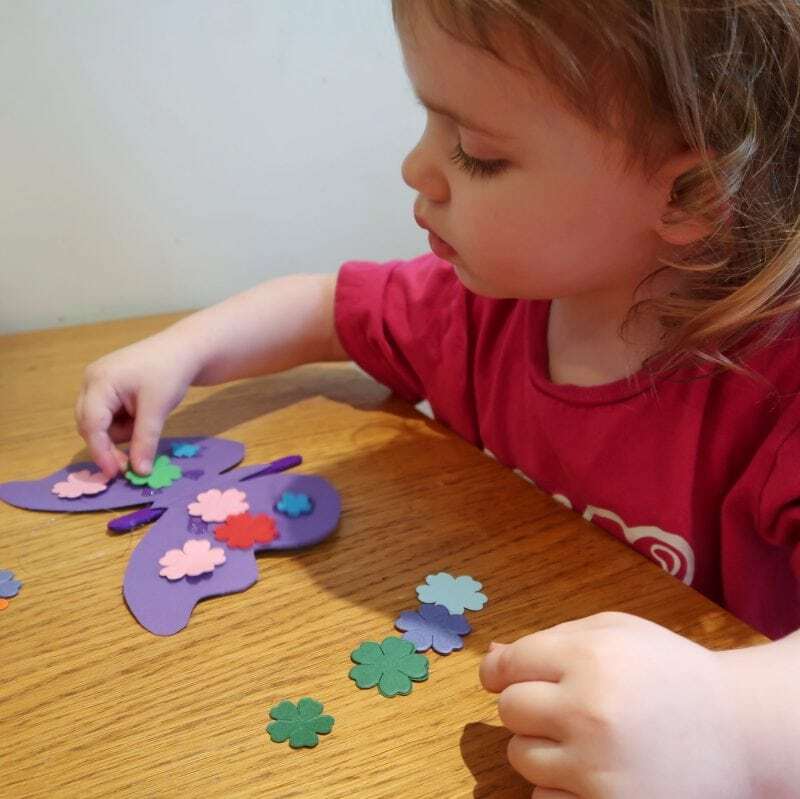 To make the butterflies, we used a foam stencil to cut out butterfly shapes in different colours. 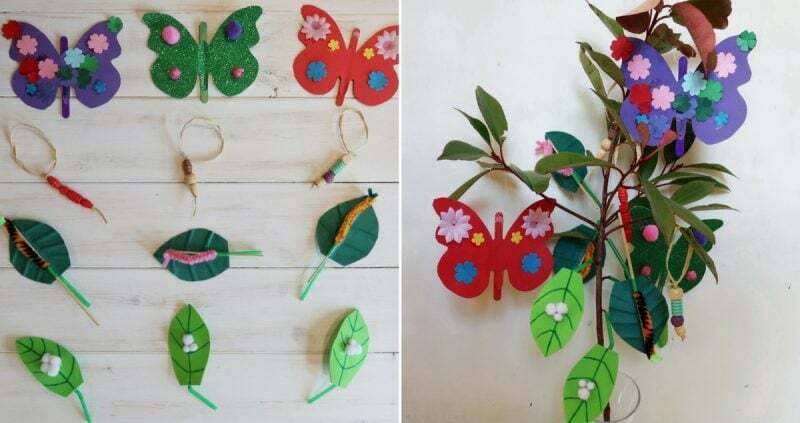 I glued the shapes to lolly sticks to make them more sturdy and added a nylon string loop for hanging them on the life cycle of a butterfly craft tree. I did this with the hot glue gun and, once dry, I handed the shapes over to the children to decorate however they saw fit. 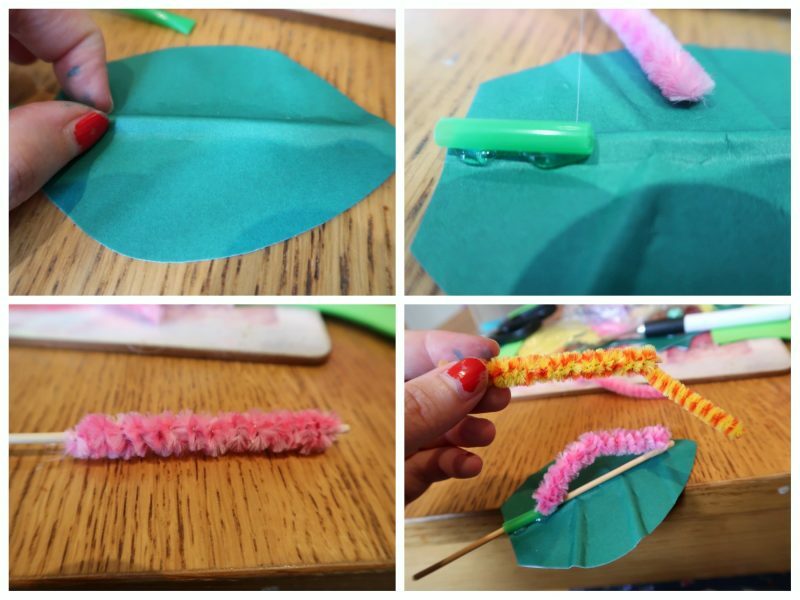 You could adapt this task to show the life cycle and metamorphosis of other creatures, such as bees or frogs. 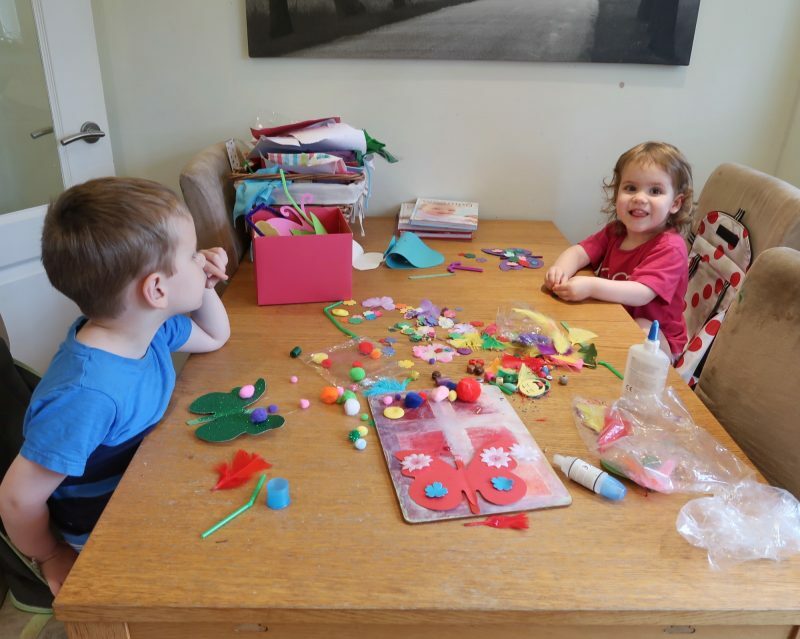 Please note, Bostik send us craft items every month in order for us to take part in the monthly #BostikBlogger craft Challenge.